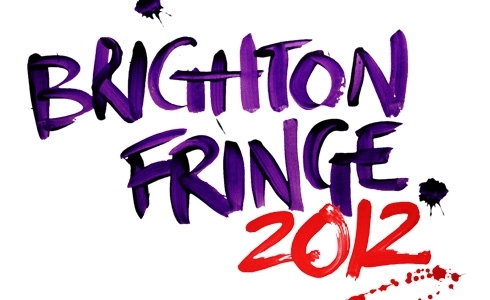 At last, here is my full roundup of the 2012 Brighton Fringe. Thank you for bearing with me. It’s been a pretty good Fringe for me this year. Normally, I return with an even mix of good plays and mediocre/awful plays under my belt. This year, however, I’ve seen 12 plays with very few weak links. However, this roundup is for a pick of the fringe and not an all-round “didn’t they all do well”, so I’m being stricter than I would normally be when looking for highlights. So congratulations to those who made it, commiserations to those who’ve missed out. What very few people realise, however, is that Edinburgh is not the only Fringe. It is the biggest in the world, and the second biggest, Adelaide, probably isn’t the most practical destination for British theatregoers, but the third largest is just round the corner in Brighton. Well, when I say third largest, it’s still tiny compared to Edinburgh, but it’s still the ideal festival for London day-trippers, seaside fans, people who want a fringe at a more relaxed pace, and, of course, people like me who find one fringe a year just not enough. There’s also a lot of mini-fringes dotted round England (mostly southern England – sadly nothing north of the M62), including a popular Fringe at Buxton.